Bonjour tout le monde! 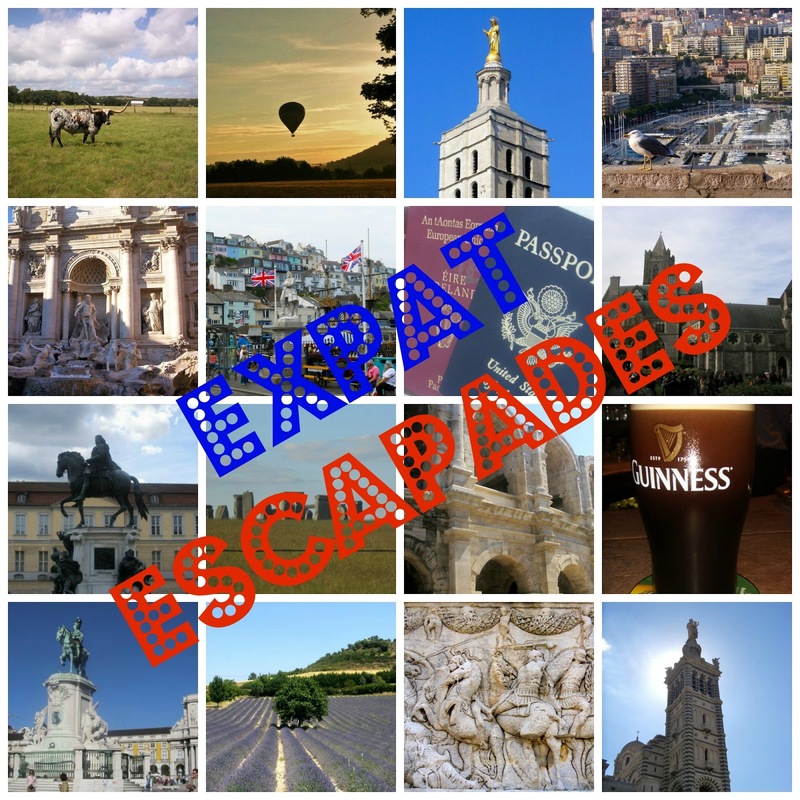 Welcome to another round of Expat Escapades! 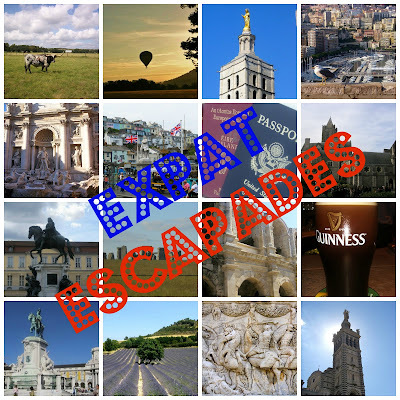 Let me tell you, you're in for a treat... this edition takes you to Ireland, Wales, Germany, Greece, and France. Are you ready? Are you steady? Go! Take a beautiful tour of lush County Wicklow, Ireland with Alex (Alex is from Texas but lives in Germany and travels up a storm). She photographed some of my favorite spots in all of Ireland like Glendalough and Johnnie Fox's pub (of course one of my favorite spots is a pub, of course it is). Some of her shots capture perfectly why Ireland is known as the Emerald Isle (hint... because it's green). For more beautiful, green landscapes, but this time of Wales, click on over to A Compass Rose. Bonnie and her family hiked up Cadair Idris, a mountain in Gwynedd, and met a very photogenic sheep along the way. And if you still haven't gotten enough of the heavenly Welsh views, Belinda posted magnificent photos of The Natural Wonders of Wales. Now that you should be all Waled out, let's head East, to Germany and see a firework display over the Rhein on We Took The Road Less Traveled. While you're there, stick around and tour a German wine festival with Casey and check out the most delicious looking pretzel ever. Seriously, as if the wine wasn't enough, there are pretzels. Dear France... your wine festivals are missing pretzels, please remedy this oversight immediately. Heading even further East to Greece, island hop by ferry with The Traveling Gypsy. Tia will take you to Folegandros, Sikinos, Ios, Paros, Naxos, Syros, and Santorini. I know that I'm lucky to live surrounded by the beauty of Provence and The Luberon, but my heavens, Greece is straight up dazzling. Since I don't want to make France too jealous after loving up on all of these other countries, we're coming back to my home with a tour of Saint Paul de Vence. Fox in Paris did her best to blend in with the locals at this popular tourist spot in the South of France. Luckily she wasn't too shy to whip out the camera every now and then. Moving even closer to The LPV, my friend Heather captured the golden hues of Aix-en-Provence. Seeing one of my favorite cities through Heather's lens, is discovering it in a whole new way. thanks for having me!! and that German wine festival looks like way too much fun. ohhh the pretzels..
Love this series, too!! So many great spots and neat things to discover! Merci! So pleased that you are continuing this series! It's like going on a mini-break! A great way to discover new places. Thank you for the mention! I love being able to find new bloggers through posts like this! Yayyy thanks for sharing -I want to go back to Ireland now! Oh, I really really really really want to travel to Ireland as soon as possible! Your witty descriptions of other blogs are a joy to read. Future blog promoter? And thank you for feeding my Irish soul. I constantly have an inner debate going in my head, "France or Ireland? France or Ireland?" Can't wait to check out all of these links! I'm always happy to see this post -- gives me some new reading to do! Such a cool series. I'm actually going to France in two weeks and I could eat your brain for days about where to go that's not ultra touristy.